Eric P. Kelner is a partner in the Princeton, N.J. office of Hill Wallack LLP where he is Chair of the Creditors’ Rights/Bankruptcy practice group. He is also a member of the Corporate Law, Franchise Law, Venture Capital and Emerging Markets practice groups and he is the founding member of the Hospitality practice group. Mr. Kelner’s clients include state chartered banks, regional banks, national banks, equipment financing companies, federal agencies, quasi-governmental lenders, commercial landlords, asset purchasers, hedge funds and individual creditors. Additionally, his hospitality clients include hotel owners and operators of flagged properties, independent hotel owners/operators and restaurateurs. Mr. Kelner is admitted to practice in the State Courts of New Jersey and Federal Courts of New Jersey, the Commonwealth of Pennsylvania and the Third Circuit Court of Appeals. 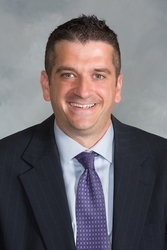 Mr. Kelner earned his law degree from Villanova University School of Law and is a graduate of Cornell University, School of Hotel Administration. Mr. Kelner was a law clerk for the Honorable John Pisansky, J.S.C., Union County. Successfully tried a bench trial on behalf of a New Jersey state chartered bank with respect to issues involving Articles 3 and 4 of the Uniform Commercial Code. Obtained dismissal of an action on behalf of a New Jersey state chartered bank in a matter involving complex title issues with respect to fraud and the merger of the defendant’s interest in the property and the defendant’s interest in a tax sale certificate. Represented a national bank in a complex title issue as the bank’s mortgage was mistakenly released and a new mortgage encumbered the property and primed the national bank’s mortgage due to the negligence of the title company and the fraudulent conduct of its borrower. The national bank’s mortgage was placed upon the property and the subsequent mortgage paid off through a workout with the borrower and the title company. Obtained dismissal of an action behalf of a federal agency with respect to the Financial Institutions Reform, Recovery and Enforcement Act. Successfully had a lower court decision affirmed regarding the inapplicability of the New Jersey Fair Foreclosure Act to guarantors that reside at a commercial property. Represented bidders in the potential purchase of restaurant franchises out of bankruptcy in various jurisdictions. Represented hotel owner/operator in purchase of Michigan hotel and loan transaction with commercial mortgage backed security. Represented hotel owner/operator in purchase of Central New Jersey hotel and loan transaction with New Jersey chartered bank. Represented hotel owner/operator in refinancing a hotel property in Texas through commercial mortgage backed security. Represented hotel owner/operator in sale of hotel property in Ohio. Represented hotel/owner operator in New York state court in commercial litigation with hotel vendor. Represented hotel/owner operator in arbitration with third party insurance administrator. Represented hotel owner in purchase of New Jersey shore motel property. Represented several hotel owner/operators in loan workouts with their lenders. Mr. Kelner's hospitality law practice focuses upon both litigation and transactional matters. Selected for inclusion in New Jersey Super Lawyers – Rising Stars Edition 2014 - 2017. The Super Lawyers list is issued by Thomson Reuters. A description of the selection methodology can be found here. No aspect of this advertisement has been approved by the Supreme Court of New Jersey. Pendente Lite Sale, Why Sit Back and Watch a Sinking Ship? What Qualifies As A Single Asset Real Estate Case?